Solo Travel – Is it For You? The Gig Economy: Is this for You? How Do We Expand our Global Circles and Make them More Inclusive? ​As far as I can remember, I have always loved fans and was dismayed when I moved to North America and found that fans were not commonly used there as they are in Asia. Still, my fascination persisted. A fan was the coolest toy I've ever owned. It did everything. Shaded me from the sun, kept me cool. There were millions things I could do with it. When I have it, I could be anyone from Madame Butterfly to Catherine the Great to my Mother. Yes, I am a fan of fans. The only toy more flexible is a cardboard box. And it is not portable. ​Little girls with little fans have been part of history for thousands of years. Fans can be opened and closed and for a child, no other thing is as fascinating. It can really be entertaining. And, if anything, the fan just gets better and better. 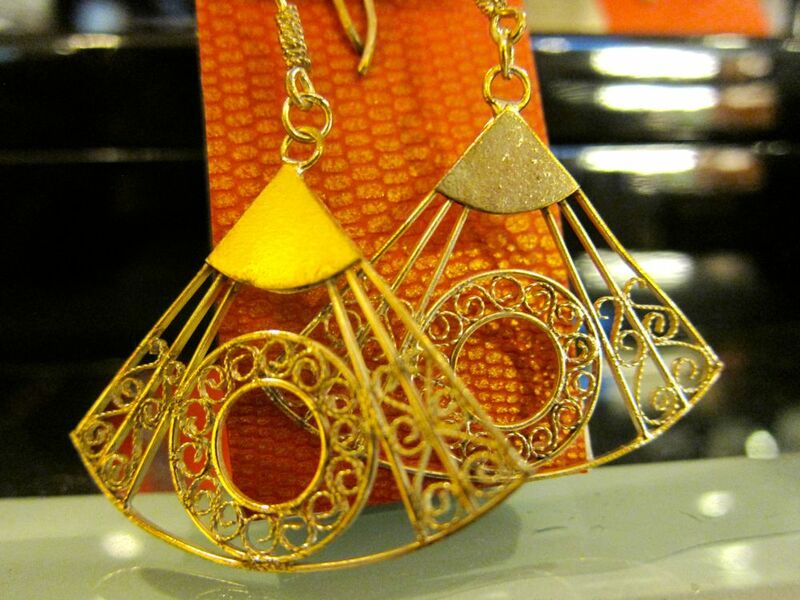 It is a fashion accessory which women like to carry and show off. You can use it to cover your mouths when you want to whisper funny things to each other during boring sermons at Church. You can cover your face from the sun when you walk and have forgotten a hat. You can use it to point at things when you happen to be challenged in that area. It can be used as a weapon, too, as the ancients did. What other toys do you know have all these uses? 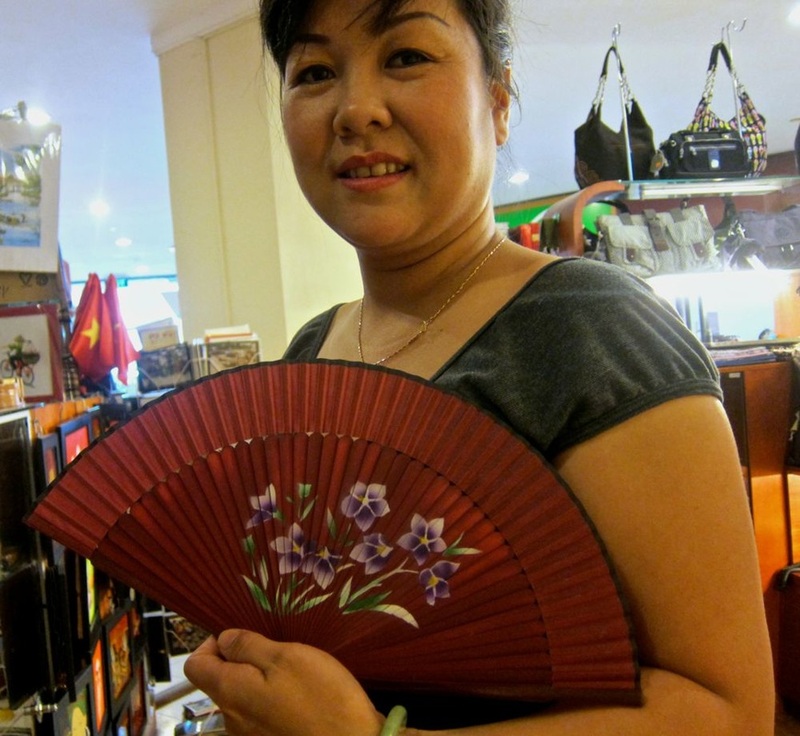 Growing up in Asia where the sun is strong and the heat can make one faint, the fan is a staple in many mom's handbags. Because of this, it has become a favourite toy when I was a child. Most children love to open purses of adults and I was no exception to that. When I open purses of Mom as well as the assorted aunts and older cousins, there is always one that makes me happy. A fan, without fail, is always there unless it is being used. The most fun we had with it was not just opening and closing it and imitating adults fanning themselves demurely but that behind it, we could talk endlessly during the usual hour-long homily of the priest on a church filled Sunday mass. So many rumours have been passed on behind that fan and entertaining stories have been shared. We also enjoyed smelling fans and comparing them as all kids Moms or aunts always have one especially at Mass. Some fans only brought out on Sundays and special occasions smelt of sandalwood as they had been carefully stored in those old boxes or they are made of sandalwood. Some opened easily and made really entertaining sounds like the ivory ones from China. Some of the Spanish and Italian ones had very entertaining pictures of women and scenes in Europe which fascinated us endlessly. This became our routine every Sunday and much excitement took place when new fans appeared. Other items use fan designs. They range from jewelry to household items and even bookmarks. 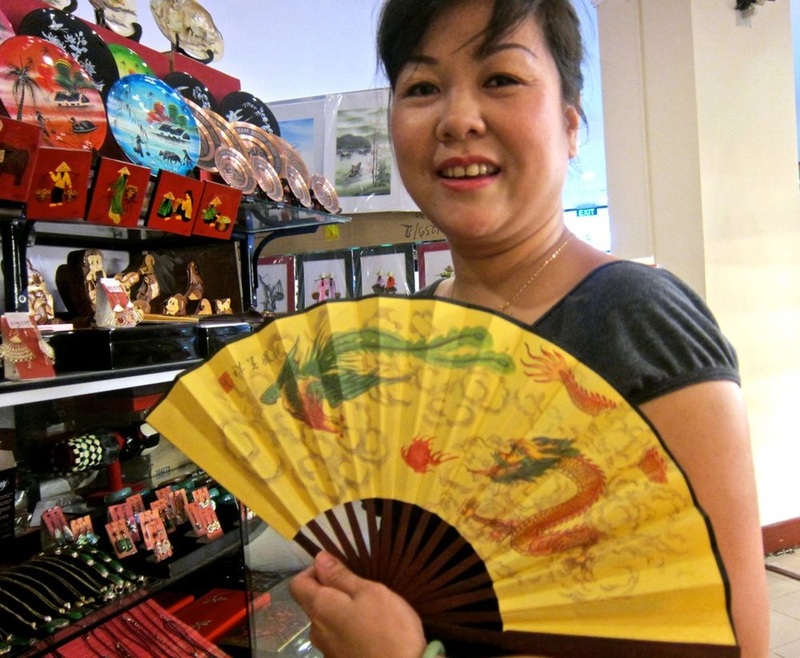 The fan shape is a popular design idea among many Asians and these are often used. Comparing fans filled most of those boring homilies we had when we were growing up and provided us with so much entertainment. Fans are camouflaged toys. They were safe from adult confiscation as they also used them. Although when it got too much, they were also taken away from us. There was always one we could play with as the use were rotated and shared. Fans also provided a reason to rummage inside adults' purses and what child did not enjoy this? This was always part of our grand children's fun during long road trips. At some moments in the trip, the purse was asked for and permission to open was pleaded for. At 60+, our fans are still part of us. But now, we use them to gently tap at our grand children who are now doing exactly the same things we used to do in Church. Japanese fan with cherry blossoms. 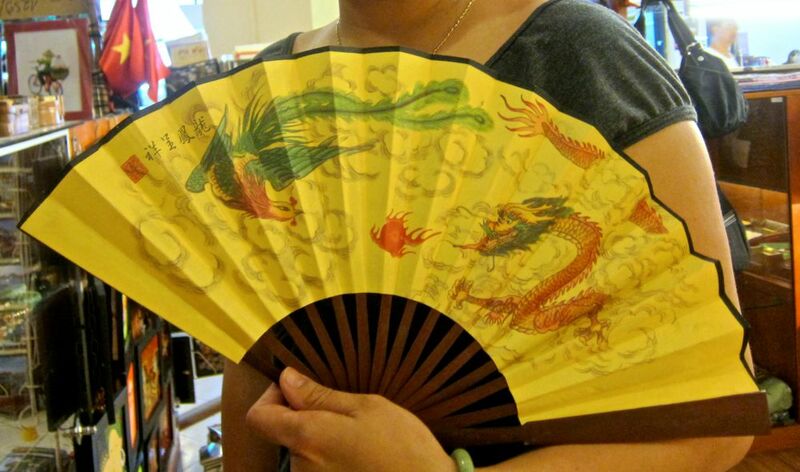 Japanese fans are often made with bamboo and rice paper and they are intricate and well made. The ones I like most are the fans made with traditional Japanese designs. This particular fan is very light and easy to put in your purse. The design is beautiful and with a dark background, you can use this in the evening as well.